Among the extensive selection of prints, posters, and ephemera found in this exhibition at the Mary and Leigh Block Museum of Art, visitors will see many items drawn directly from of the McCormick Library: engravings by William Blake, rare first editions of 1960s counterculture books, and psychedelic posters promoting the most famous musical acts of the ’60s. 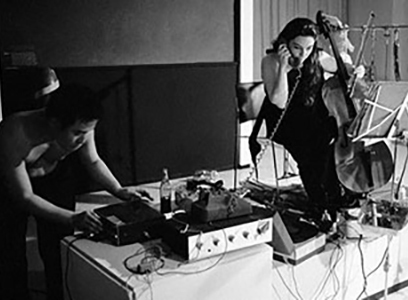 The Charles Deering McCormick Library's Charlotte Moorman archive is featured in exhibits at the Mary and Leigh Block Museum of Art and Deering Library. Deering Library will feature “A Feast of Astonishments: Charlotte Moorman and the Avant-Garde, 1960s-1980s” and Don't Throw Anything Out: Charlotte Moorman's Archive." A companion exhibit is up in Deering Library's lobby: "Charlotte's Scene" includes material from the Moorman Archive and other related archives in Special Collections, as well as material from the Music Library. 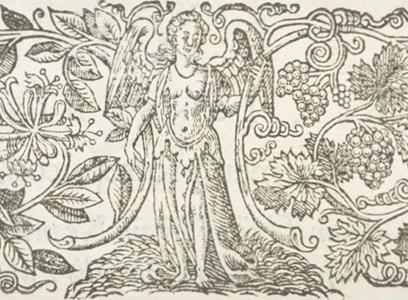 This exhibit showcases some of the interesting and unusual early printed books held in the Charles Deering McCormick Library of Special Collections. Among these artifacts are books of poetry and prose by eminent Renaissance writers; “used books” bearing traces of their later owners; and educational treatises, Continental literature in translation, and travel guides. 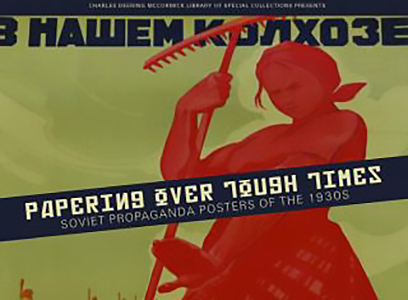 This exhibit highlights 17 posters published by the Soviet government in the 1930s, a time encompassed within the dates of the First Five Year Plan (1928-1933) and Second Five Year Plan (1933-1937), the massive industrialization and social engineering projects of the Stalinist government. Enormous numbers of these kinds of posters were published and distributed to even the remotest villages. Since literacy was low in the various Soviets, especially in agrarian regions, the simple graphics and easy to grasp symbolism of the posters were an effective mode of State communication and social control. 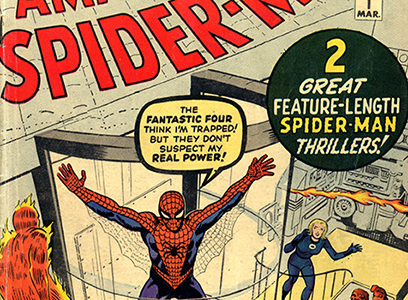 In this exhibit, Manuscript Librarians Benn Joseph and Jason Nargis present an overview of the history and scope of the comic book archive in the Charles Deering McCormick Library of Special Collections. The library holds extensive runs of titles mostly from the "Silver Age" (approximately 1950-1970) of mainstream comics as well as the so-called "Underground Comix" of the late 1960s and early 1970s. Also featured are a selection of Big Little Books, dime novels, woodcuts, and engravings that chronicle the beginning of comic books as they are known today. The Charles Deering McCormick Library of Special Collections possesses one of the few complete copies of the French architect René Binet’s Esquisses decoratives. Binet had received the prestigious commission to design the principal gateway to the Paris Exposition Universelle of 1900 – which he did from coral structures as they had been elucidated by the German biologist Ernest Haeckel, with whom Binet was in correspondence. 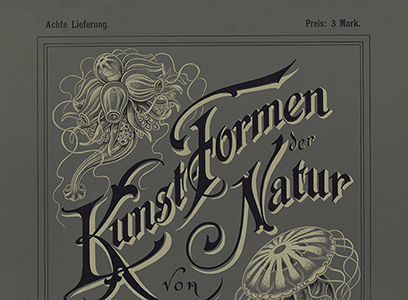 Curated by Northwestern University Professor David Van Zanten, the exhibit displays all 60 plates of Esquisses decoratives in the alphabetical sequence Binet created for them, as well as representative works by Haeckel and Blossfeldt, and illustrative designs of some of their followers. The exhibit features books and other materials not only from the McCormick Library of Special Collections, but from other libraries on the Evanston campus, from the Galter Health Sciences Library, and from the collections of the Field Museum of Natural History and of the Chicago Botanic Garden. 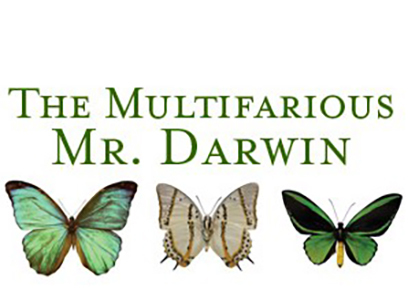 The exhibit highlights Charles Darwin's antecedents and influences, his life and the development of his ideas and reactions and responses to his scientific work. 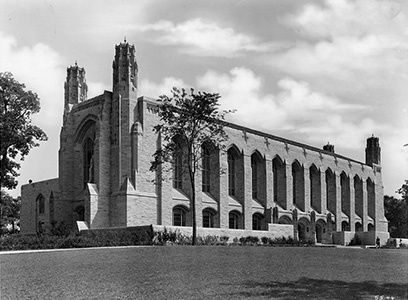 To celebrate the 75th anniversary of our beautiful Deering Library, we have selected a diverse cross-sectional representation of materials from some of the discrete collections held within the McCormick Library of Special Collections, all of which are united by a common thread: they were published or otherwise created in 1933, the year the Deering Library opened. Exhibited items range from material from Chicago’s Century of Progress exposition, which opened in 1933, to books, prints and ephemera from our outstanding collection of 20th century European art movements including French and Czech Surrealist and Italian Futurist pieces. 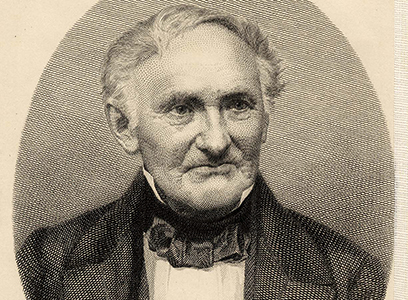 In 1869, Northwestern Latin professor and University librarian Daniel Bonbright was visiting Europe when he heard about an extraordinary private book collection that had just become available for sale. Assembled by Johannes Schulze, who had studied with Hegel and befriended Goethe and Schopenhauer, this personal library included books printed by the famous 16th and 17th century printing dynasties, the Manutius and Elsevirs, as well as 13 incunabula—books printed before 1501. Now known as the Greenleaf Library, Schulze’s collection contains 13 books from the 15th century, more than 500 volumes from the 16th, and thousands from the 17th, 18th, and 19th centuries. 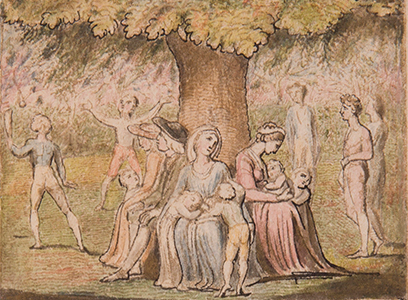 William Blake (1757-1827) is now generally recognized as equally a great poet and a great visual artist, but to the public of his time his name, if known at all, would be most likely associated with his work as a book illustrator and copy engraver. 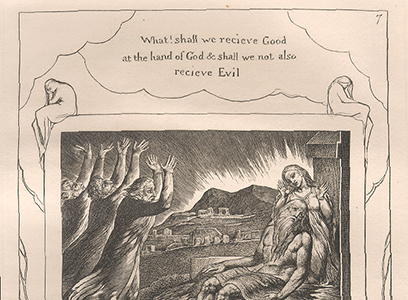 In this exhibit we show numerous examples of Blake's commercial work, including such spectacular triumphs of his own designs as his illustrations for Edward Young's Night Thoughts, Robert Blair's The Grave and Illustrations of the Book of Job. 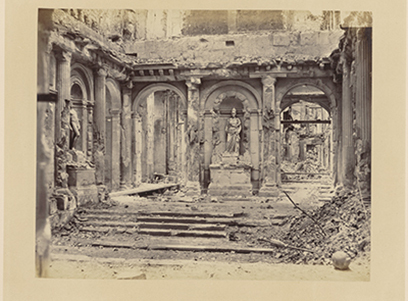 A comprehensive exhibit about the Siege of Paris of 1870, displaying posters, ration sheets, photographs, caricatures and other materials from the period.